Pregnancy is such a beautiful and amazing thing, though it may not feel like it at times. YOU ARE beautiful and amazing. You’re growing life after all and it doesn’t get more special than that. 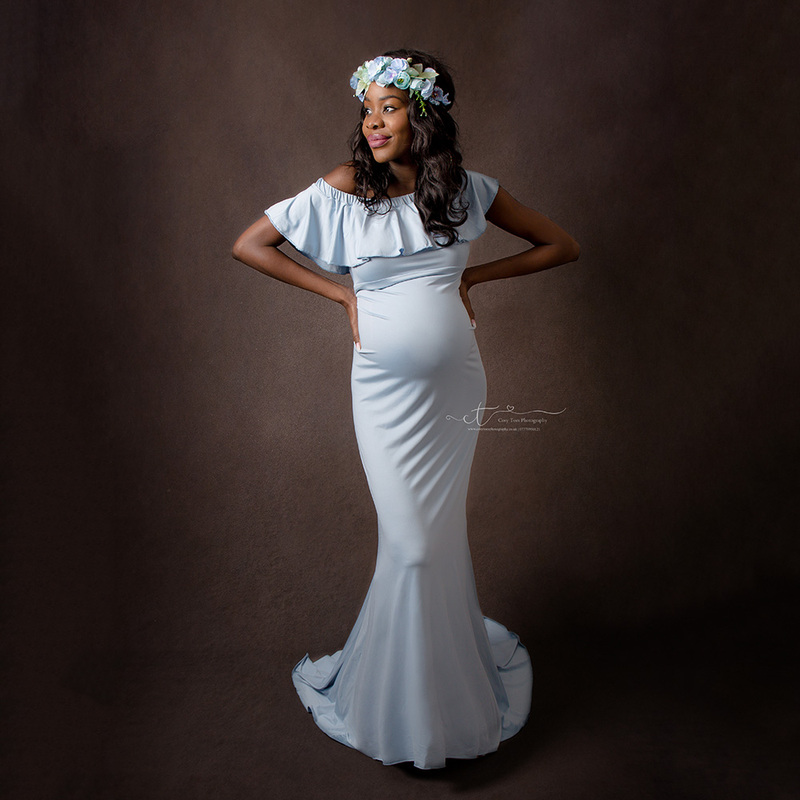 This is the stepping stone to your future and one that I’d love to help you document and remember by providing you with stunning maternity portraits. You will never know how amazing your body is until after you have felt the dancing of life from inside your womb. When it comes to a maternity photo shoot, there is nothing like being on location. Flower or grass fields are ideal. A close second favorite of mine is a milk bath, where the images are all about that gorgeous bump and oh so pretty……and an added bonus is that the milk makes your skin so soft! I have a range of beautiful maternity gowns, so what ever your preference is we capture can these memories with images you’ll treasure. The maternity portrait session is carried out either at my home studio, or in the comfort of your own home, using my professional backdrops and lighting for a studio style feel. This session can incorporate a Milk Bath add on if desired. At a location local to you, or one of my favourites, the choice is yours!